You can reach us by phone at 519-674-2497. 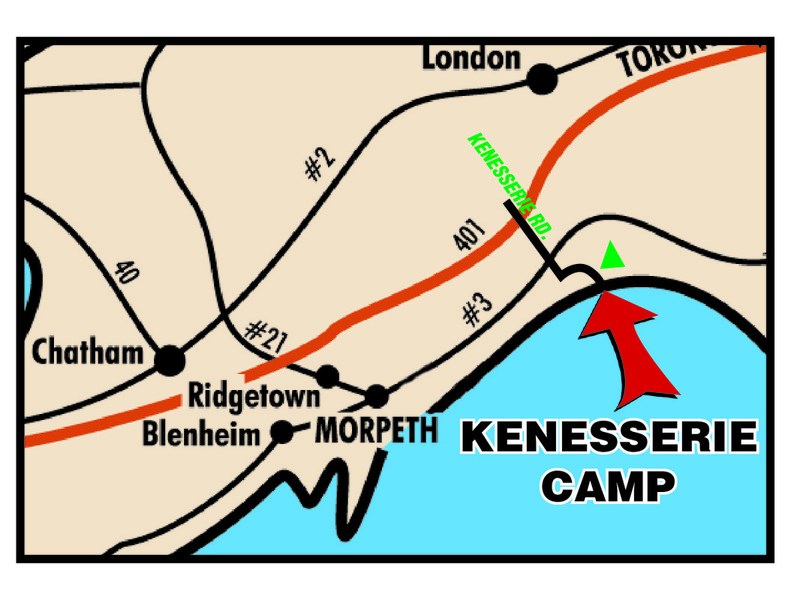 It's not hard to get to camp, just follow the map below. When you get to Kenesserie Road, go around the last corner and you'll find us there. Our address is 18669 Kenesserie Road.